Well tomorrow is the day, tomorrow we get on a plane for Denver. We have our final interview, 'basecamp' training, and a lot of fun and meals to look forward to during our time there. Maybe even some climbing, if I play my cards right. Our emotions go from excitement to nervousness and everywhere in between. We are really excited to have the chance to learn more about WorldVenture and also to meet our fellow appointees. I know it will go fast, but right now two weeks feels like a long time. It is an interesting microcosm of what we will eventually do - packing up our life, leaving friends, and heading off to a new, exciting and daunting adventure. So with this, we head off. I have felt for a long time that I have neglected blogging and I need to be more intentional about writing down my ideas and adventures. - How do you see God preparing you for the ministry He has lead you into? My Brother Evan is a great photographer. 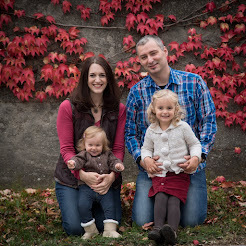 He doesn't update his photo blog every day, but when he does the images are pretty stunning. This also makes me wish I lived in an area that had a little more vertical relief to it. It is images like this that remind me why I love to be outdoors and why I believe in God. Head over to his blog and leave him a comment. - Where is your favorite place to see the beauty of creation? 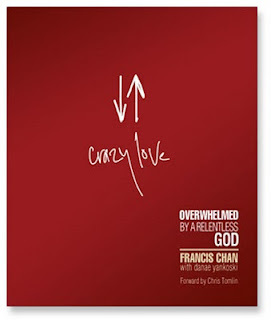 Our small group has recently started reading the book "Crazy Love" by Francis Chan. The basic premise of the book is that God really loves us...and therefore, we should be willing to display a crazy amount of love for those around us. Francis challenges his readers to live "radically", to step outside comfort zones and fight against the "comfortable" Christianity that is common in the American church. "Lukewarm people tend to choose what is popular over what is right when they are in conflict." "A relationship with God simply cannot grow when money, sins, activities, favorite sports teams, addictions or commitments are piled on top of it." "Lukewarm people do whatever is necessary to keep themselves from feeling too guilty." "Lukewarm people probably drink and swear less than average, but beside that, they really aren't very different from your typical unbeliever." I don't think these are all meant to be taken literally or that they apply to everyone. Maybe you are someone who enjoys professional sports, but don't take this hobby to an unhealthy or idolatrous level. Or maybe you don't drink or swear...but you also try to stand out from the crowd for your faith in others ways. These extreme statements are meant to knock you over the head and make you think...they may make us uncomfortable. But I think Francis' goal is to cause his readers to be challenged in a new way to look at their life and discern where God may be pushing them to change. Maybe not everyone is meant to sell their belongings and live on the street to be a witness for Jesus. This would be radical, but its not everyone's calling. But what kind of radical does God want you to embrace? Where can you step out of your comfort zone to demonstrate a crazy love for others? Francis says, "The goal of American Christianity is often a nice marriage, children that don’t swear, and good church attendance. Taking the words of Christ literally and seriously is rarely considered. Most of us want a balanced life that we can control, that is safe, and that does not involved suffering." I think Francis is right. Living in a country where we are not persecuted for our faith can lead us to be comfortable, to fit in with the Christian sub-culture, and to assume that "radical" is for other people. But reading this book, I'm challenged to confront my comfortable lifestyle and to critically ask the question, "How can I live more radically for Jesus? What does He want me to do?"